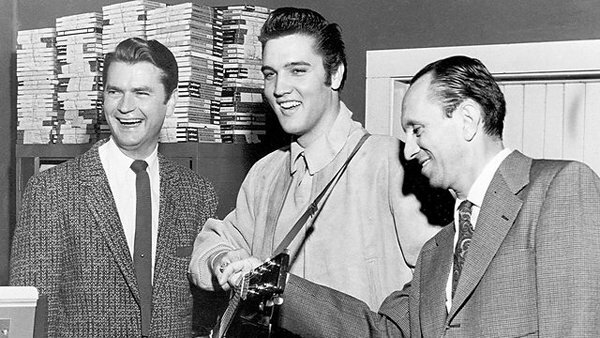 On July 5, 1954, a 19-year-old Elvis Presley walked into Sun Studio and recorded three tracks. To mark the anniversary of Elvis’s historic recording, Hollywood actor and musician Sam Palladio hosts That’s All Right: 60 Years On, live from Sun Studio in Memphis this Saturday, July 5 on BBC Radio 2. Live from the now legendary Sun Studio, artists including The Pierces, Laura Bell Bundy and Candi Staton will be performing the songs Elvis recorded that night as well as other classic Elvis tracks. The celebration then continues as Palladio interviews those who knew Elvis, as well as further special performances and little-known anecdotes as the story of the first 19 years of Elvis’s life and his obsession with music – from gospel, blues to rock and roll – is told. The day also will be filmed for an hour-long program for broadcast on BBC Four in July. Read more at BBC.co.uk.